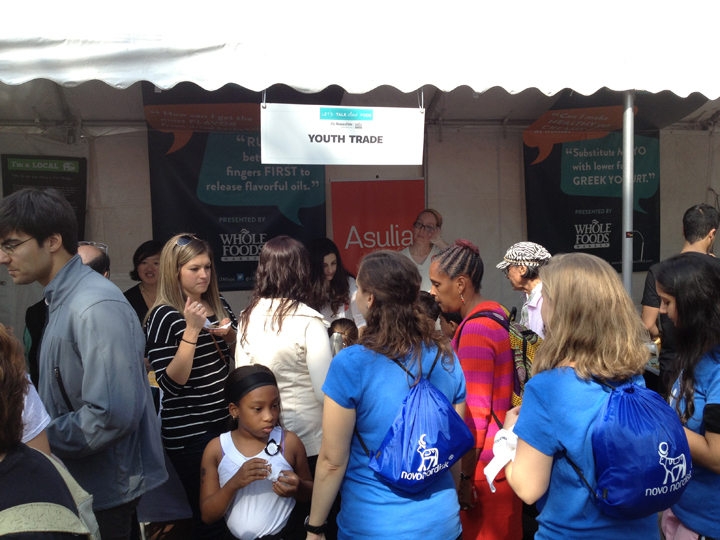 Thousands of people came out on Saturday, 10/5 for the third annual Let’s Talk About Food festival sponsored by Whole Foods and the Boston Globe. 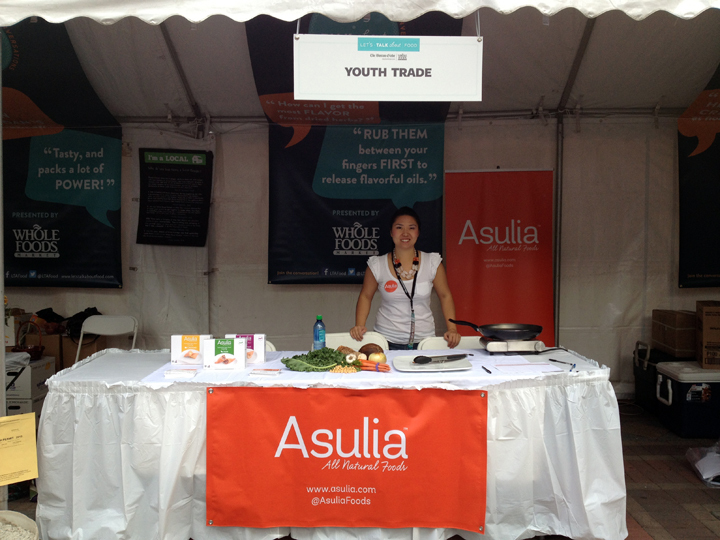 Asulia and an awesome crew of volunteers were on hand sampling our kale, taro root and chickpea dumplings non-stop to Bostonians from near and far under the YouthTrade booth. 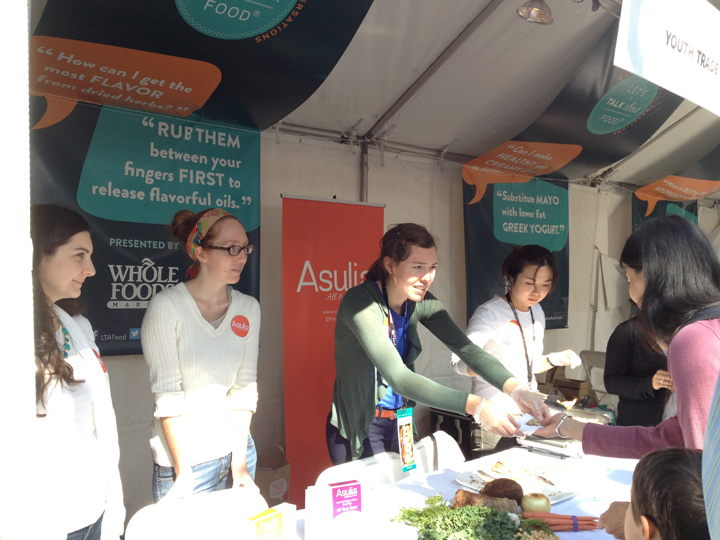 Many were surprised at how good our healthy vegan dumplings tasted! The average dumpling is about 40 calories. With eight pieces per box ranging from 275 total calories for kale, 350 calories for chickpea, and 375 calories for taro root, no wonder eaters were delighted! We were lucky to have the perfect fall weather as we met and chatted with the great people that stopped by. I especially enjoyed meeting the kids (particularly the skeptical ones) that came back for seconds! I’m encouraged by your enthusiasm. 10 days of our Indiegogo fundraising campaign remain. Please consider supporting us! Custom color block chopsticks, launch party tickets, and, of course, dumplings shipped directly to you are just some of the rewards we have for our supporters. Please keep liking our posts on FaceBook, retweeting on Twitter and forwarding our newsletter to your friends and family. Let’s get Asulia on the shelf together. Special thanks to Grace Lee, Suzanne Brendle, David (he likes to be mysterious), Helen Ye, Rachel Sale, Sarah Cowen, and Steph LaShoto for volunteering! The event would not have been possible without you!